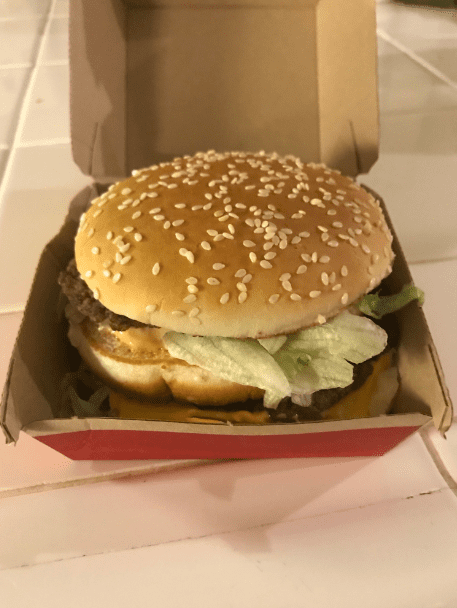 Photo: a Big Mac in its cardboard container. Credit: Gena Philibert-Ortega. The Big Mac is sold in McDonald’s restaurants all over the world, but its beginnings were in Pennsylvania thanks to an idea a McDonald’s franchise owner had for a bigger hamburger. So, what’s in that secret sauce? Most people would guess that the sauce is really Thousand Island dressing. 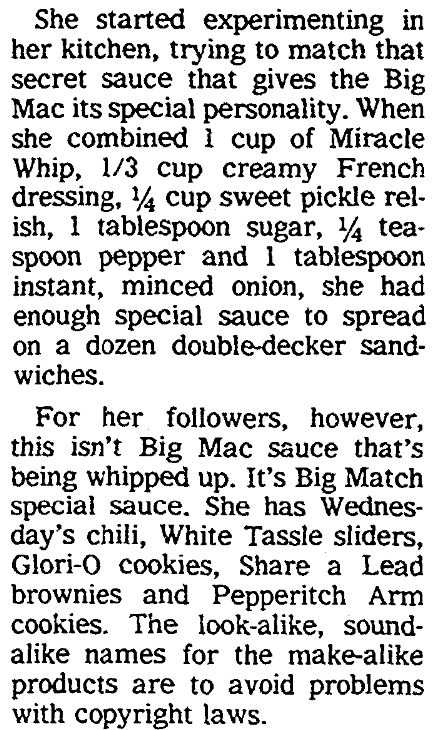 Googling “Big Mac Secret Sauce” reveals numerous copycat recipes. Similar to Thousand Island dressing, its ingredients include mayo, ketchup, onion powder, pickle relish, garlic powder, and sugar. Special sauce copycat recipes can also be found in print, as exemplified in this 1985 newspaper article that suggests a secret sauce made from Miracle Whip, French Dressing, sweet pickle relish, minced onion, sugar and pepper. Consumers have been known to customize their Big Mac beyond the classic ingredients by asking for a burger with no pickles, or ordering a Double Big Mac which includes four beef patties instead of two. 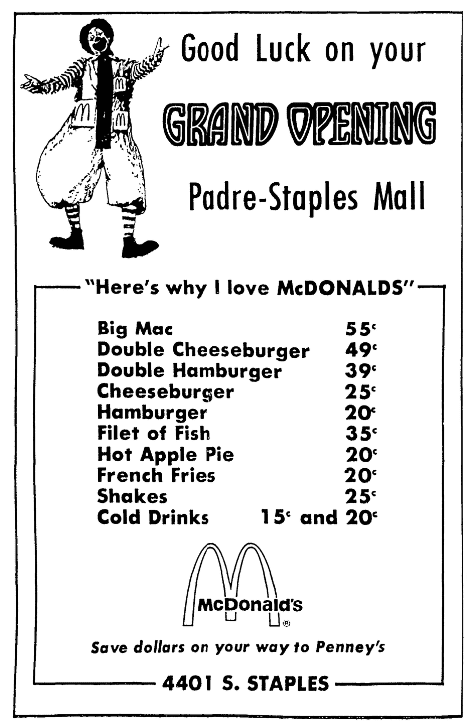 When it debuted, the Big Mac cost 45 cents! 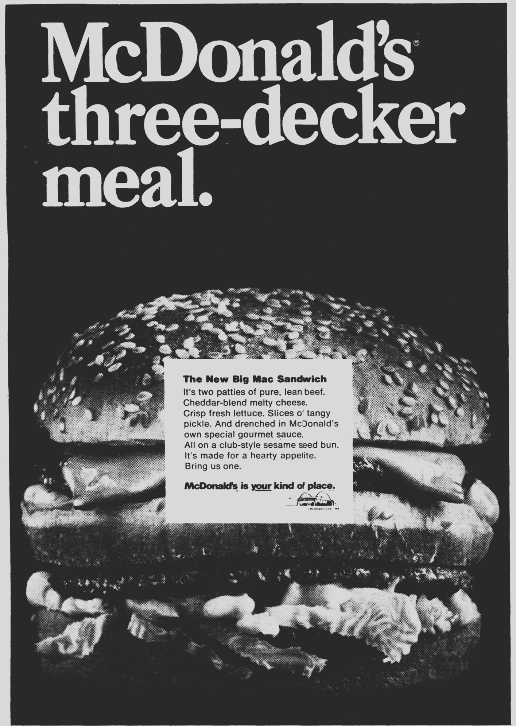 Just a few years later, in 1970, the Big Mac cost 55 cents. A McDonald’s meal consisting of a hamburger, fries, and a shake was advertised for 58 cents in Knoxville, Tennessee, in October 1967. Today, at my local McDonald’s, the Big Mac alone will set you back $4.89. 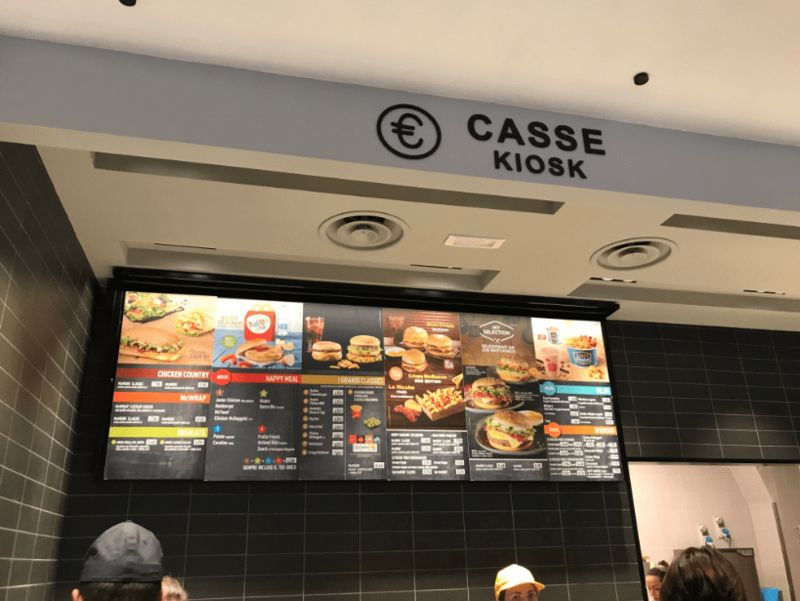 Photo: a McDonald’s menu in Rome, Italy. Credit: Gena Philibert-Ortega. 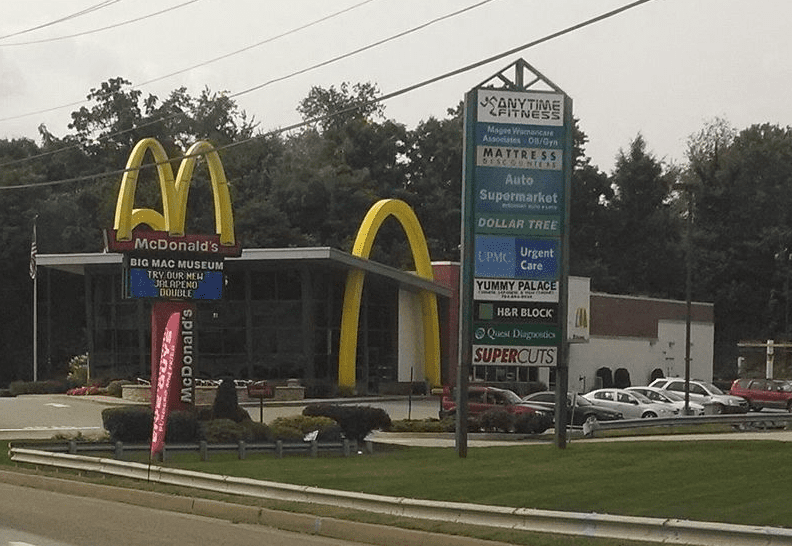 Photo: McDonald’s Big Mac Museum in North Huntingdon, Pennsylvania. Credit: Jgera5; Wikimedia Commons. The museum, opened in 2007, is a tribute to the Big Mac and honors creator Jim Delligatti’s 50th anniversary as a McDonald’s franchisee. 2018 marks the Big Mac 50th and like other 50th anniversaries, Big Mac’s silver anniversary was celebrated with a special MacCoin redeemable for a Big Mac. The Big Mac remains as popular as ever with over 1.3 billion sold in 2017. (5) Big Macs are an important part of fast food history. What fast food did you eat growing up or with your family? Do you have any memories involving fast food restaurants or meals? Tell us about them in the comments section below. (1) “14 Things You Never Knew About the McDonald’s Big Mac,” Reader’s Digest (https://www.rd.com/food/fun/big-mac-facts/: accessed 9 November 2018). (2) “50 Years of Big Mac. Big Mac through the Years,” McDonald’s News (https://news.mcdonalds.com/stories/our-food-details/big-mac-50-history-infographic: accessed 9 November 2018). (4) “Big Mac Museum Restaurant,” McDonald’s (https://corporate.mcdonalds.com/mcd/our_company-old/mcdonalds_history_timeline/museums/big_mac_museum_restaurant.html: accessed 9 November 2018). (5) “50 Years of Big Mac. Big Mac through the Years,” McDonald’s News (https://news.mcdonalds.com/stories/our-food-details/big-mac-50-history-infographic: accessed 9 November 2018). Which day of which month is the birthday of the Big Mac?